A unique formula that gives hair a boost in the thickness, fullness and overall health. For all hair types. •	Achieve visible results in as little as 4 weeks*. •	Continued use = even better results, helping to give the impression you have more hair than ever before. •	90% of women agree their hair looks fuller* after using the Hair Growth Serum for 12 weeks. Intensely formulated to help you achieve visibly fuller, thicker and healthier hair. For those with thin and flat hair. • Continued use gives ultra-intense results, giving the appearance of more strands. 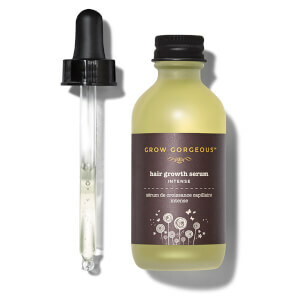 For those whose hair is already pretty fabulous but could do with a boost to thickness and overall health, the Hair Growth Serum makes the perfect every day essential. If you're struggling with hair that looks thin and flat, our Hair Growth Serum Intense has been expertly formulated to combat these concerns. Visibly increase the thickness of thin locks and achieve visibly fuller, thicker and healthier hair. Can stress cause hair loss? From why it happens, to how long it takes your hair to grow back, we’re here to answer your stress-related hair questions. Many things contribute to lacklustre locks. Some can’t be helped, however we’ve combined our fave ways we CAN actively combat thin hair.